Make an assortment of bead charm characters, animals and figures using free and easy pony bead patterns. Most simple patterns take under one hour to complete. 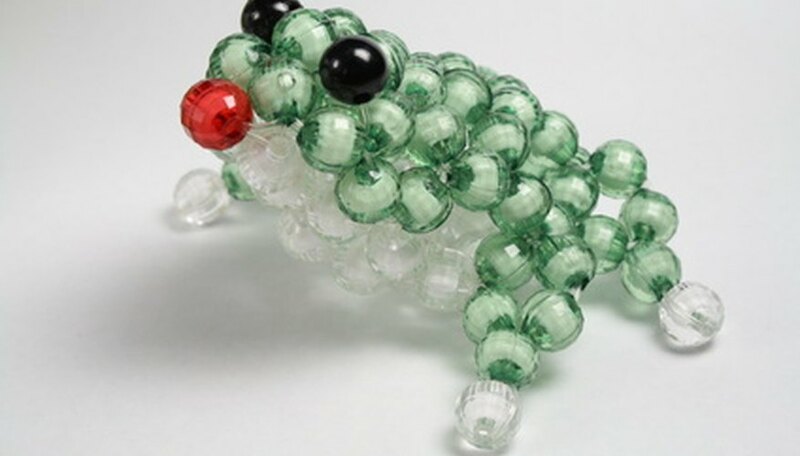 Once you've mastered working with full size or mini pony beads, you'll find it easier to advance to more difficult and intricate patterns, such as a beaded frog. Use the charms as hair accessories, backpack zipper pulls, necklace pendants or ornaments. Select a pattern (see Resources). Organize your beads. Most patterns will give you a bead count and recommended colors. Measure and cut 2 yards of cord. Fold your cord in half to find the middle and attach your lanyard hook by using a half hitch. Tie off with a double knot when finished. Once you advance and begin using smaller beads and more difficult patterns, use a finer thread such as fishing line.